Box for Pipette is made of Polypropylene, this Pipette Box is designed in such a way that it can hold Pipettes of different lengths. The top of the box screws on the bottom and the height can be adjusted by screwing or unscrewing the top. 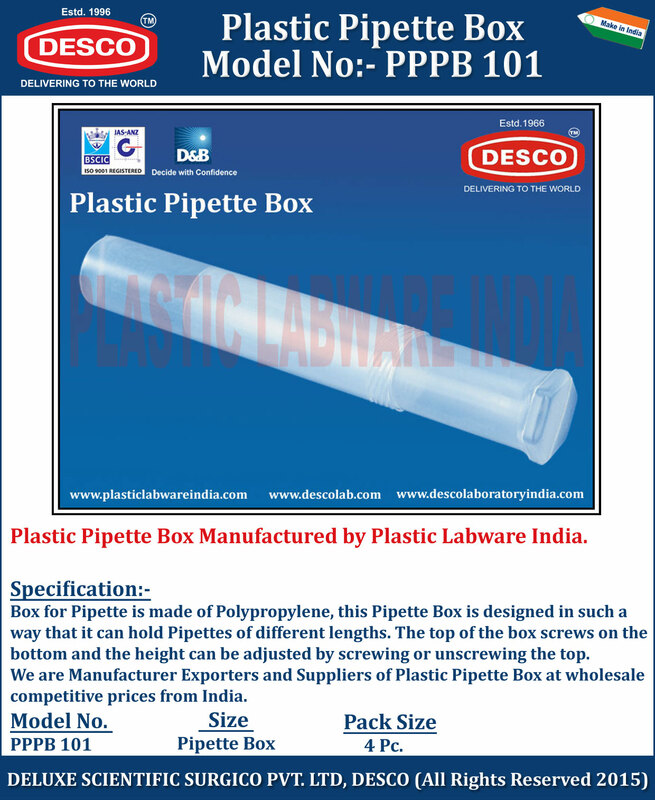 We are Manufacturer Exporters and Suppliers of Plastic Pipette Box at wholesale competitive prices from India. PPPB 101 Pipette Box 4 Pc.